This past weekend, walkers on the Capital Challenge Walk MS walked through Rosslyn and other scenic areas in the greater Rosslyn metropolitan area before finishing the 50 kilometer walk at the U.S. Capitol. 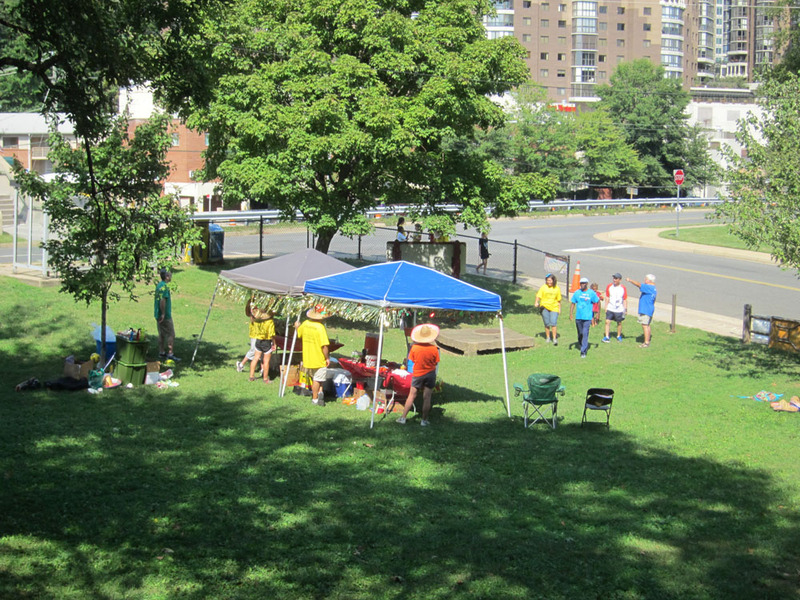 Jacki's Determined Soles, a team of walkers in this challenge, set up a rest stop for the walkers in Rosslyn's Ft. Myer Heights Park. The space that their tent occupied should have already been dug up for the construction of a new children's playground. Fortunately, the installation of the playground has again been delayed, so the park served as a pastoral place of rest for the determined walkers.